The iTennisRoundRobin™ saves you hours and eliminates the headaches associated with trying to balance round robins, which is often impossible to accomplish by hand within a reasonable amount of time. 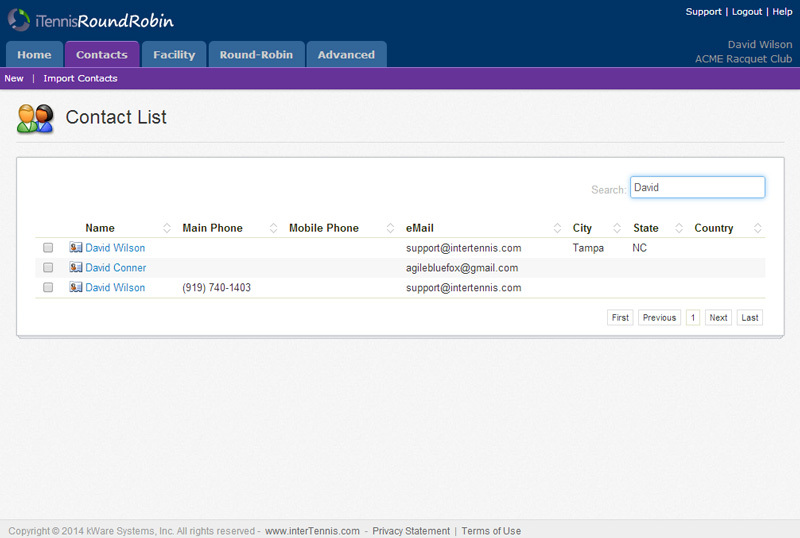 Generate schedules for a season court or your doubles group(s) in no time. 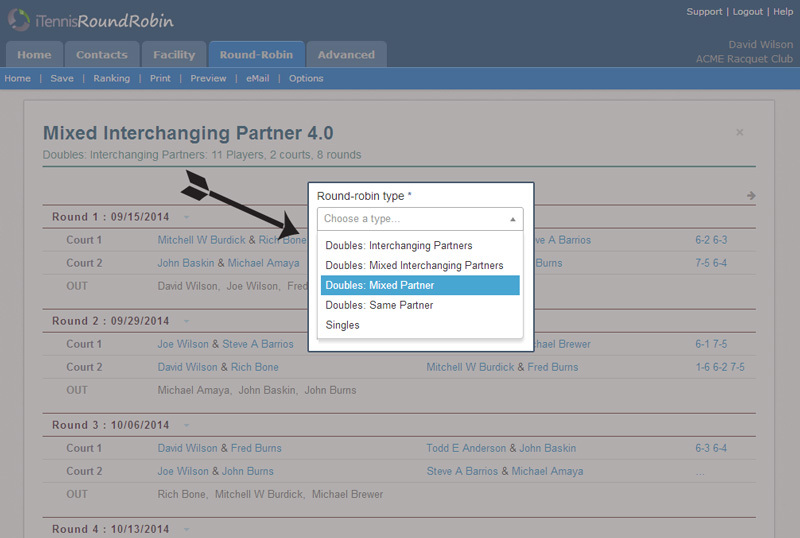 Complex doubles round robin types are supported (interchanging, mixed-interchanging...). 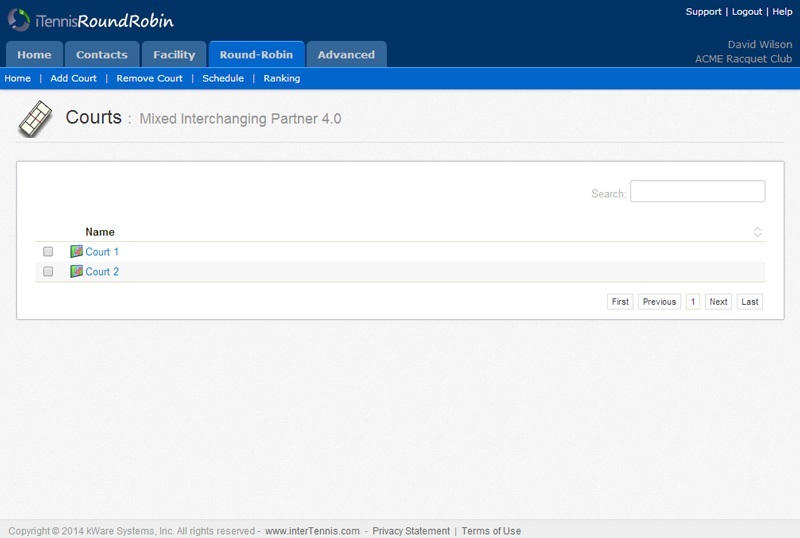 With a few clicks of the mouse you can easily share your rotation schedules. 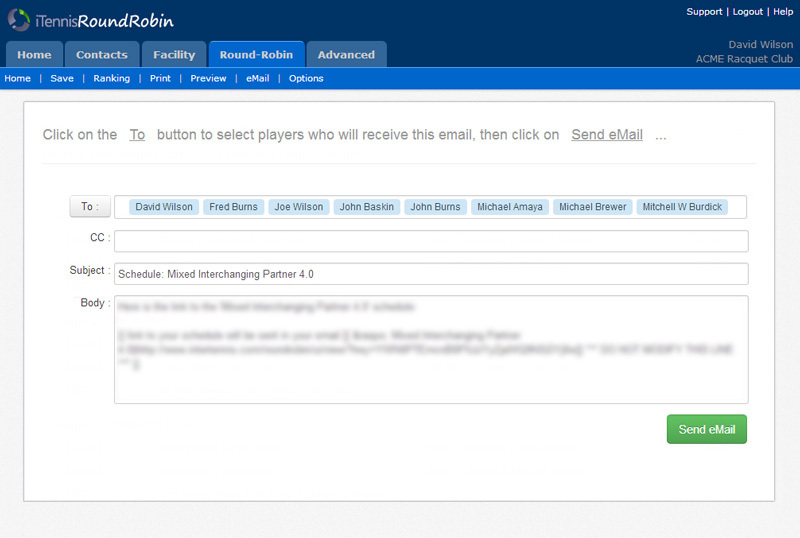 Particpants in your group, instantly receive an email with the latest schedule. 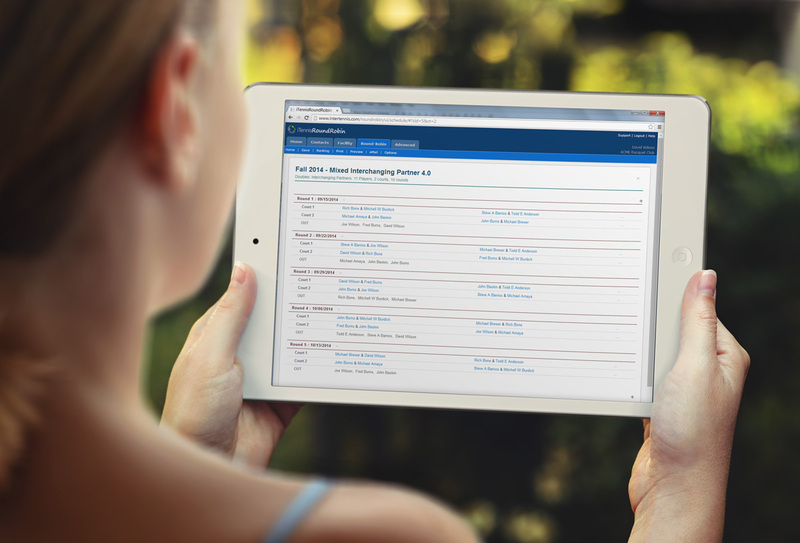 Your schedules are also available online and accessible from any device. It's inevitable that changes to rotation schedules are needed. 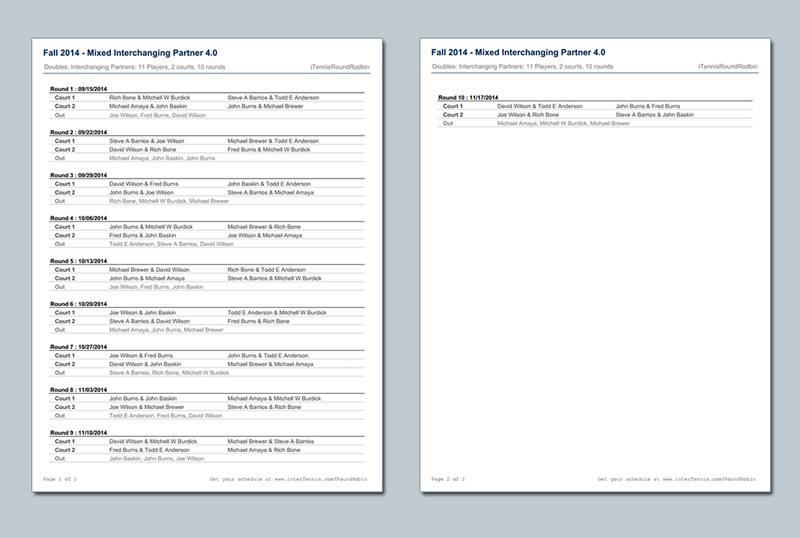 The system makes easy for you make last-minute changes and accomodate scheduling conflict and changes. Well planned events makes it more fun for every one to participate. Your group will be impressed with the structure and your scheduled initiatives. Create a schedule for large group with minimal typing. 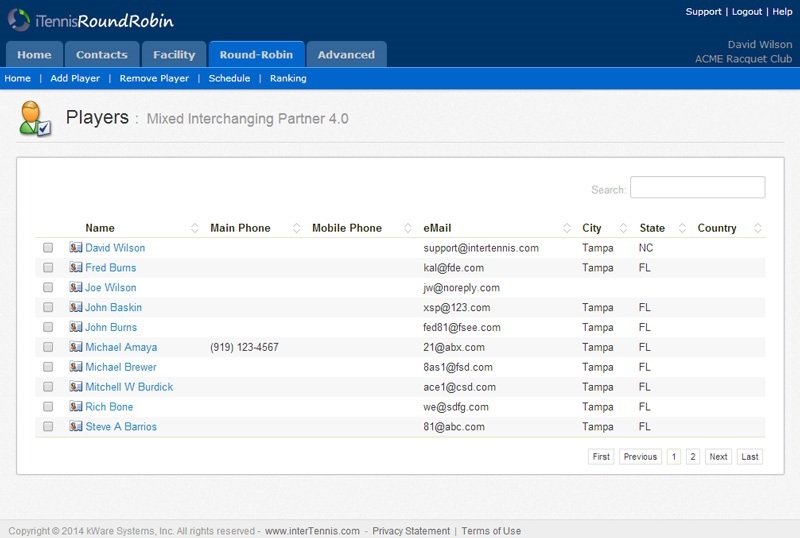 All players in the system are available to you to include in your round robin(s). 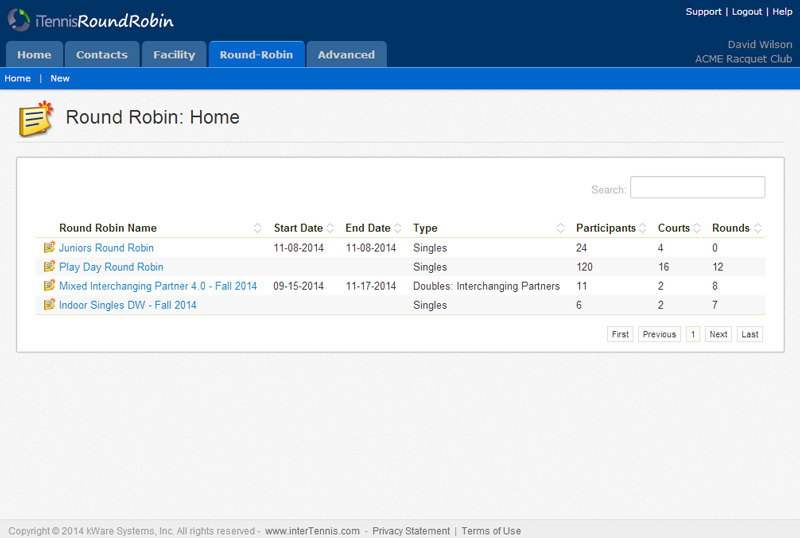 Successful social tennis events start with good planning; the iTennisRoundRobin™ helps you toward reaching such goal ! You can run multiple round robins simultaneously. The system supports both small and large round robins. 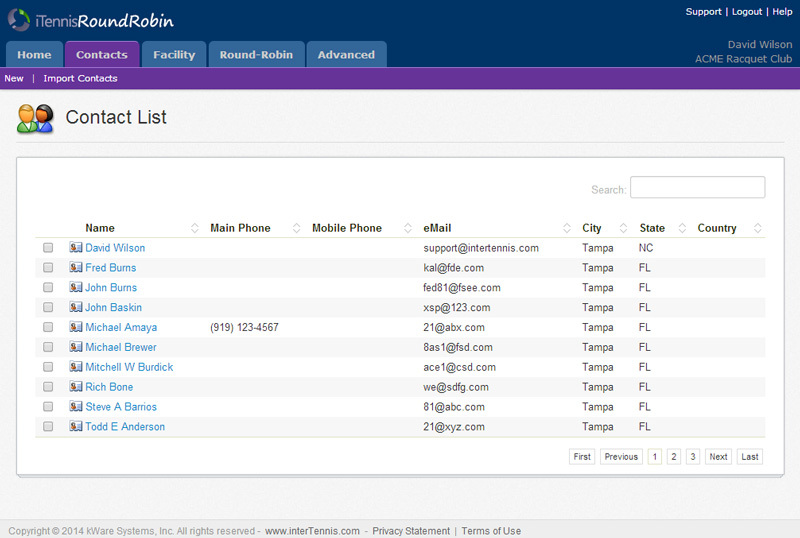 With a few clicks you can create schedules in minutes. 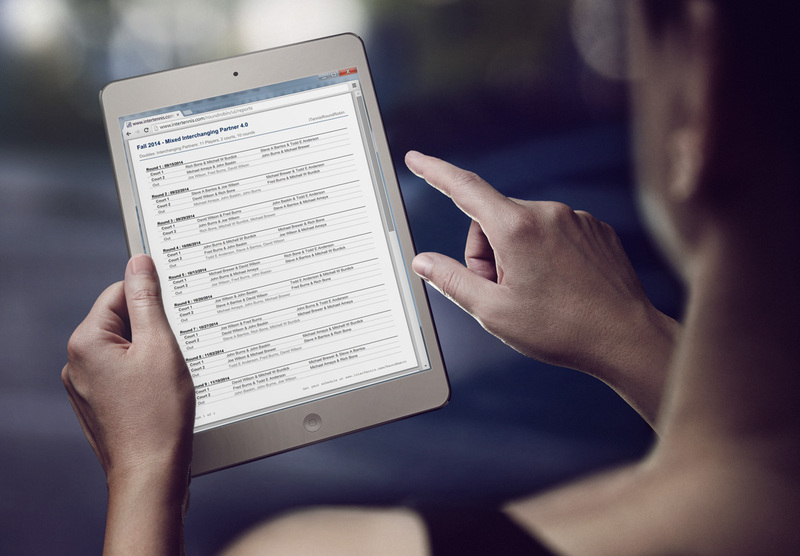 The iTennisRoundRobin™ makes your schedules instantly available online and easily accessible from a tablet or mobile phone. 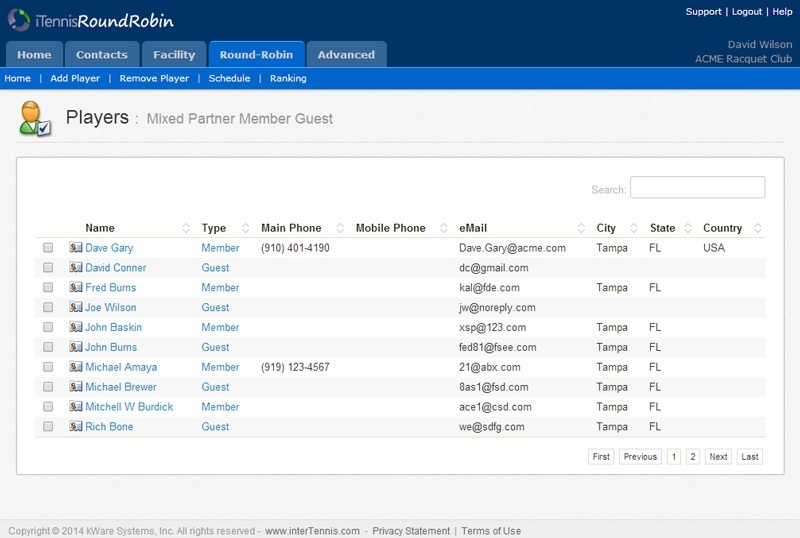 Access and manage your round robins from anywhere. The system makes it very easy to send emails with attached schedules or links. 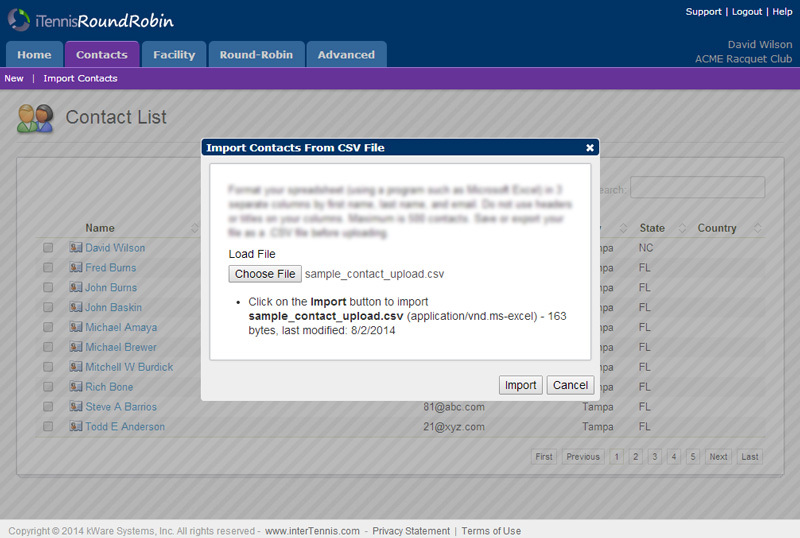 The built in email capabilities allow you to send the generated round robins to particpiants or third party. The systems makes player substitution easy. 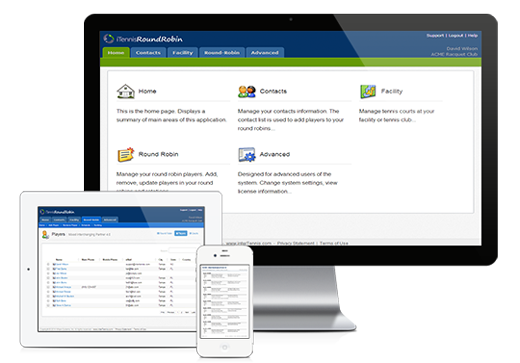 With a few clicks you can substitute a player for a specific date or in any number of round combinations. 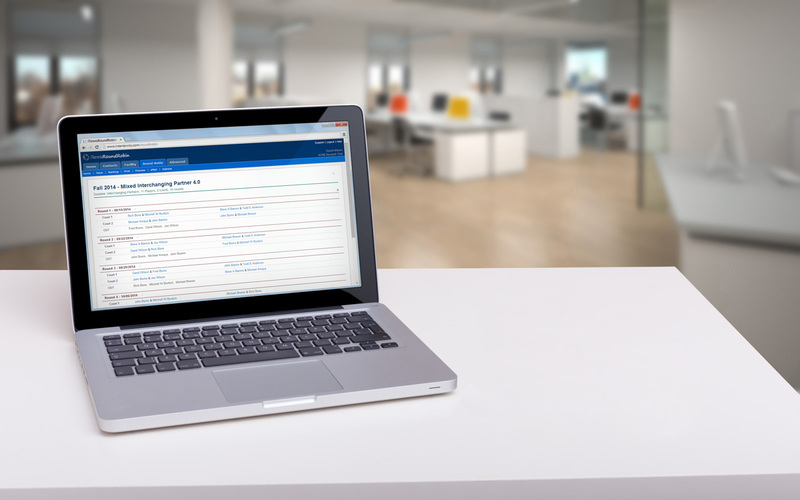 If holidays fall within your season schedule or round robin, the system can automatically exclude such days from the schedule. You can, optionally, add your match results in to the system. 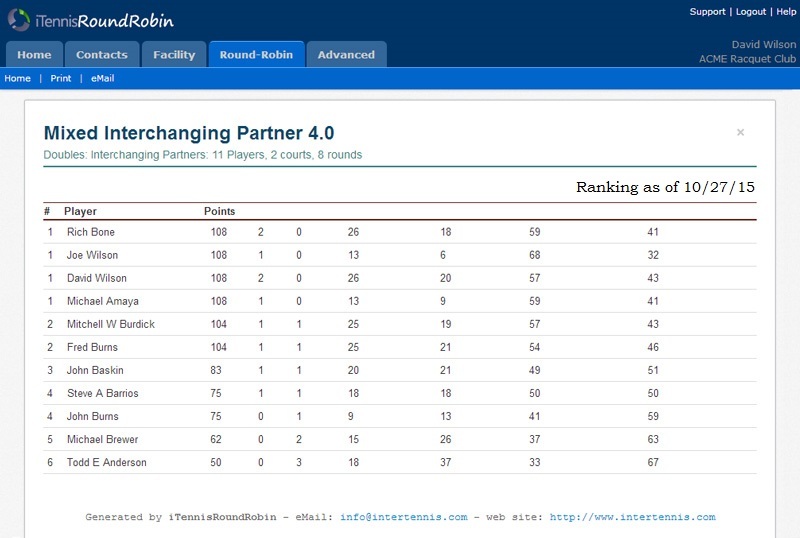 The iTennisRoundRobin automatically generates a weekly ranking based on the latest match results.